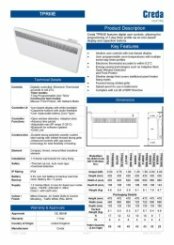 Creda TPRIII125E is an electronic panel heater providing excellent results. 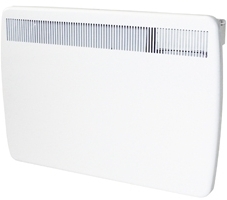 Its adaptive start feature pre-heats the room and open window detection helps with energy-saving and efficiency. It means the heater will reset when necessary, ensuring the ambient temperature is comfortable and satisfactory. The CapSense controller offers an intuitive experience and the backlit screen gives constant accurate readings. 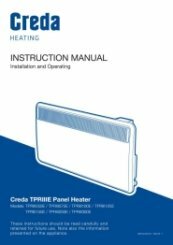 The Creda TRPIII is an exceptional choice of electric panel heater. Brilliant, thank you very much for the feedback. Thank you very much for the really great feedback of our service and efficient delivery. Thank you for taking the time to give us great feedback.